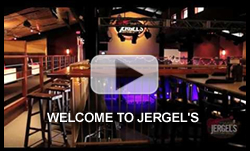 Jergel's Rhythm Grille - Voted one of the best live music venues in the Pittsburgh area! This Week’s lineup! Click on graphics for tickets! THE OUTLAWS – SOLD OUT! STATIC X / DEVIL DRIVER – SOLD OUT! OPENING DAY – May 7! VOTED #1 MUSIC VENUE 2 YEARS IN A ROW! Visit our Facebook Photos Page!